We’re meeting some new faces in Captain Marvel but also some familiar ones that are going to look a little different. 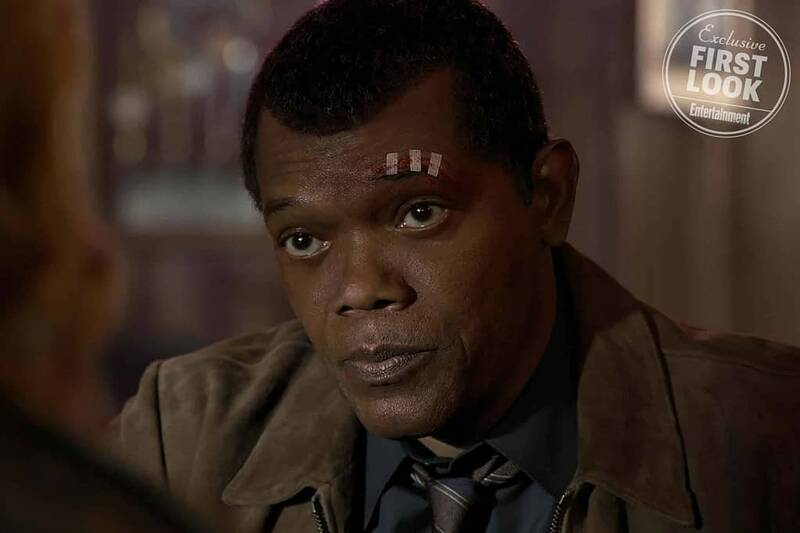 Captain Marvel is bringing us much younger versions Nick Fury and Phil Coulson and since people can change a lot in the twenty years since the mid-90’s they are going to be different people. Samuel L. Jackson revealed to Entertainment Weekly that there were times he didn’t think a line or action seemed like Fury until he remembered the time difference. This Nick Fury, who will be de-aged to the point that Jackson said he sometimes didn’t recognize himself, is a much different man who isn’t the spymaster we meet at the end of the first Iron Man. When it comes to the leading lady of Captain Marvel Jackson has nothing but good things to say about Brie Larson. The article notes that during the interview Larson came in to show off a costume and Jackson jumped up to hug her because they hadn’t seen each other in awhile. Larson and Jackson stared in Kong: Skull Island last year so this is a bit of a reunion and the two friends were thrilled to work with each other again. Captain Marvel might be introducing us to Carol Danvers but we also get to see how Nick Fury turned into the man we watched fade away at the end of Infinity War.